Most non-anglers have a perception of fishing as a sedentary sport, where fisherfolk sit motionless for endless hours, staring at a float or a rod tip. Is this a realistic view of the UK’s biggest participant sport? Well as an angler, I would, of course, dispute this belief. There are branches of our beloved sport, or pastime if you will, that do fit this image of a non-physical activity. However, there are other fishing pursuits that fully embrace the physical side, generally associated with the term ‘sport’. I can only speak of my own passion for angling and what it gives to me. I’m lucky to be in a position that allows me the opportunity to pursue my chosen pastime pretty much wherever and whenever I want. I travel throughout England and Wales in pursuit of my chosen quarry and I’m very lucky to have some like-minded friends to share those experiences with. That’s a big thing for me and my fishing; good friendship. To socialise and share experiences with good friends, or like-minded people, goes a long way to ensure that our wellbeing is being catered for. 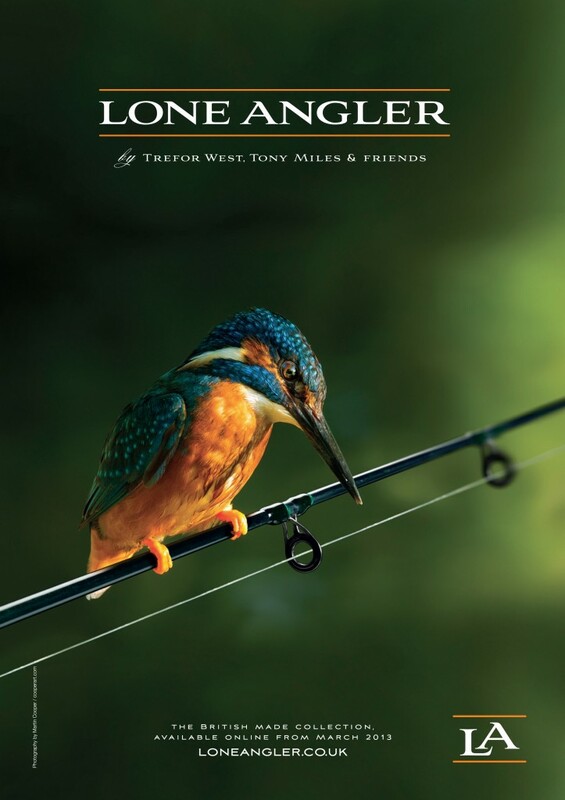 The greatest pleasure derived from my angling experiences is being out in the great British countryside, breathing in fresh air and enjoying the sights and sounds of nature. Whether it’s summer, autumn, winter or spring, each season brings a change in the flora of our surroundings. The changes in lushness and colour. Changes in the luxuriant growth of summer to the crisp, frosty mornings of winter, where the ice sparkles in the sunlight. Being outside offers a chance to escape the mundane, day to day chores that life throws at us. I particularly enjoy river fishing. I love the wildness of a river. It’s unmanicured banks, thick foliage and unpredictable nature. The sounds of flowing water are enchanting. It’s therapeutic and almost spiritual. It offers an escape, a cure, a tonic perhaps, from the day to day harsh realities of everyday life. Walking mile upon mile in search of the right swim, the right spot, with the right flow, whilst carrying a backpack, rod, chair, net and a plethora of barely-used tackle, can only help to keep one fit and healthy. Summer and winter can see me in chest waders working a float through numerous swims, testing the flow and depths and searching out the fish. It’s an active method and a day stood in the river can leave the body aching and tired but with a feeling of being alive and being almost part of the river itself. Even fishing with a static bait can involve covering much distance. I’ll still wander the stretch of river, trying likely looking spots and if nothing materialises, I’ll move on again until I find the right one. This way many miles can be covered as I wander up and down stretches, dropping into likely swims before moving to the next. Sometimes I’ll tuck myself away amongst the bankside vegetation and sit quietly watching the world go by. It’s at these quiet times that nature simply comes to you. I’ve been very lucky to see otters frolicking in the river just feet from me, the flash of the iridescent blue kingfisher as it hurtles past, or sits perched on a branch waiting to dive into the clear waters. I’ve even had kingfishers land on my fishing rod as I’ve watched quietly, in awe. I’ve been within a few feet of barn owls, fallow, roe and muntjac deer. I’ve watched enthralled at the antics of stoats and weasels as they tumble and frolic together in a frenzied dance. I’ve seen mighty red kites swoop down at prey within spitting distance of me and buzzards, peregrines, harriers and kestrels. I’ve heard the captivating sounds of ravens as they have made their deep, gurgling croak hidden in the trees. I’ve watched birds of prey circling high above, riding the thermals and listened to those haunting cries echoing through the skies. Fishing offers escapism, breathtaking scenery, nature and wildlife, exercise and a feeling of wellbeing, that only the countryside and maybe the concentration of fishing can offer. I have yet to mention the fishing itself….well perhaps that’s for another time. However, needless to say, it’s the instinct buried deep within us; to hunt. To track down and tempt our chosen quarry. For me, the greatest sight of all is seeing that fish, that we’ve worked so hard at to catch, swim strongly away and back into the flowing waters, where it may never see a hook again. There is a beauty in each fish and each species of fish that is hard to define but any angler would smile at the mere description of a magnificent roach, chub, grayling or barbel. After a day on the river, I feel healthier, more alive and more enriched than I can describe. If that’s not good for the body and mind, then I don’t know what is!